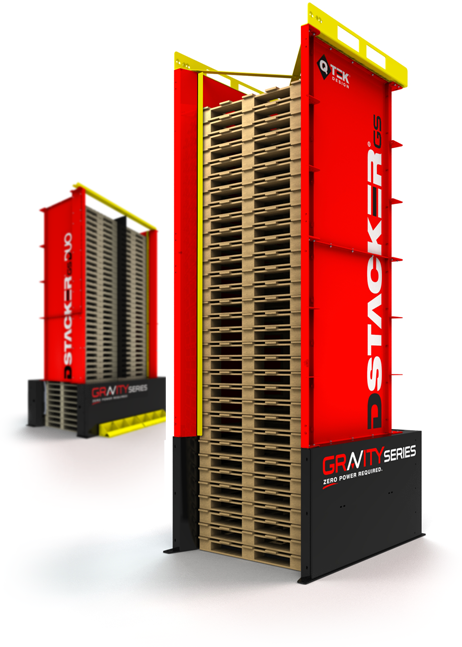 DStacker GS is a revolutionary pallet delivery system that can operate without electricity! Pallet dispensing with ZERO power required! Train new operators in 5 minutes!